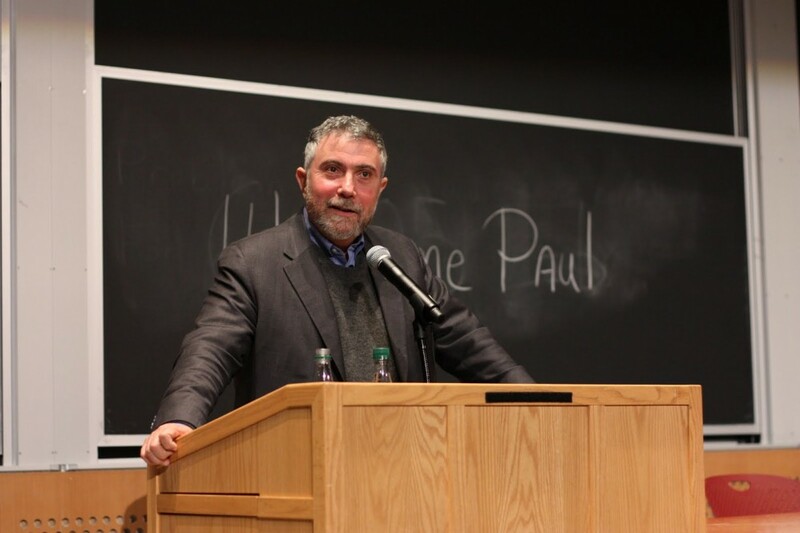 In yet another column lamenting the imaginary dog-whistle politics that permeates the conservative movement, New York Times columnist Paul Krugman offers what could be one of the most easily disprovable sentences he’s ever written – and that’s saying something. Let’s for a moment concede that roughly half the country is focused on punishing the poor. Let’s say they communicate this viewpoint via thinly-veiled racist rhetoric that apparently anyone can hear. Still, is it really “difficult” to find a Tea Party denunciation of bailouts? I guess asking your intern to type the words “bailout” and “Tea Party” into a Google search is problematic for a guy who insulates himself from the opposition’s arguments. Arduous as the work can be, though, Krugman would have first found a Wikipedia page that cited all larger 2009 Tea Party protests and found around a dozen of them were partly or explicitly aimed at denunciating Wall Street bailouts. Who knows? He might have pulled up the 2012 CBS poll that took a deep dive into the inclinations of the average Tea Partier, and found out that 74 percent of them opposed bank bailouts. Some argue, and with reason, that the Tea Party was spurred by Bush and Obama bank bailouts. Federal bailouts reward inefficient and corrupt management, rob taxpayers, hurt smaller and more responsible private firms, exacerbate our budget problems, explode national debt, and destroy our US dollar. Even more importantly, any bailout of private industry is in direct violation of the Constitution. It is a transfer of wealth from those who have earned to those who have squandered. Actually, nearly every Tea Party-affiliated candidate had come out strongly against TARP, many of them making it the centerpiece of their runs against establishment Republicans — including Mike Lee and Marco Rubio. Is there no editor on the Times’ opinion page editor that can email the professor and ask him whether he wants to make such a ludicrous claim? Update: As Joel Gehrke points out, Tea Party opposition to bailouts is still a live issue. David Harsanyi is a Senior Editor at The Federalist and author of the The People Have Spoken (and They Are Wrong): The Case Against Democracy. Follow him on Twitter. The white, blonde senator from New York is consistently polling below 1 percent among all Democratic presidential candidates. It takes more than a shared LGBT identity to get me to vote for someone. I respect some part of Buttigieg’s messaging, but he’s still too far left for me.